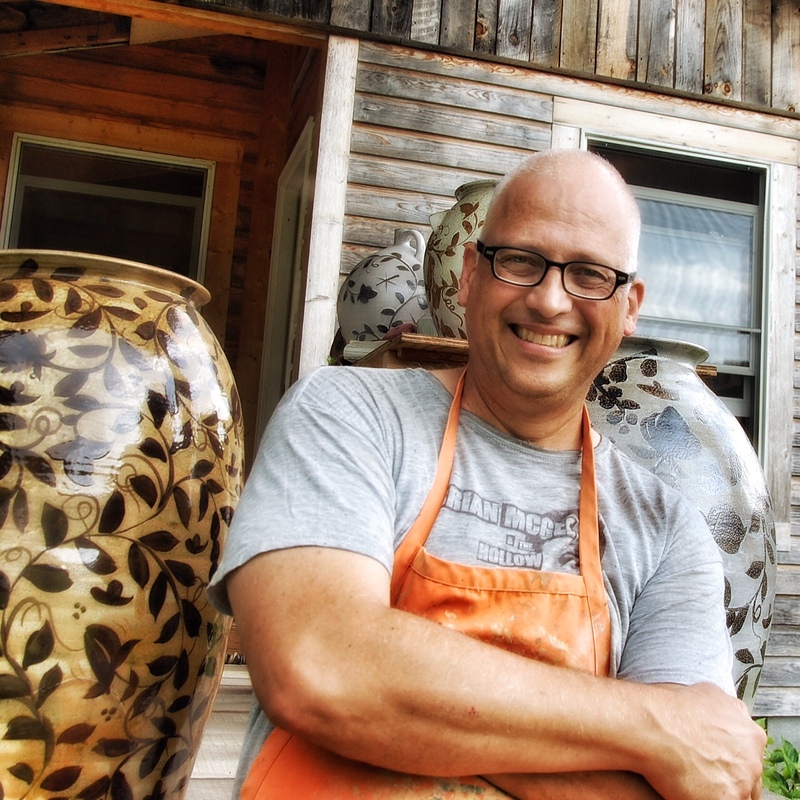 Here's a great new video by the American Craft Council about the St. Croix Potters Tour. There are so many family faces and pots! I'm very excited to announce that I will be showing my work at Guillermo Cuellar's studio in 2016, so let's get together next year in the St. Croix Valley! I wanted to follow up with a little critique of these yunomi that I have sent to AKAR which I will not do at this point, sorry. Such a tease! But I DID manage to shoot some individual shots of the cups! I wanted to get some nice pictures before I shipped them off, so here they are! 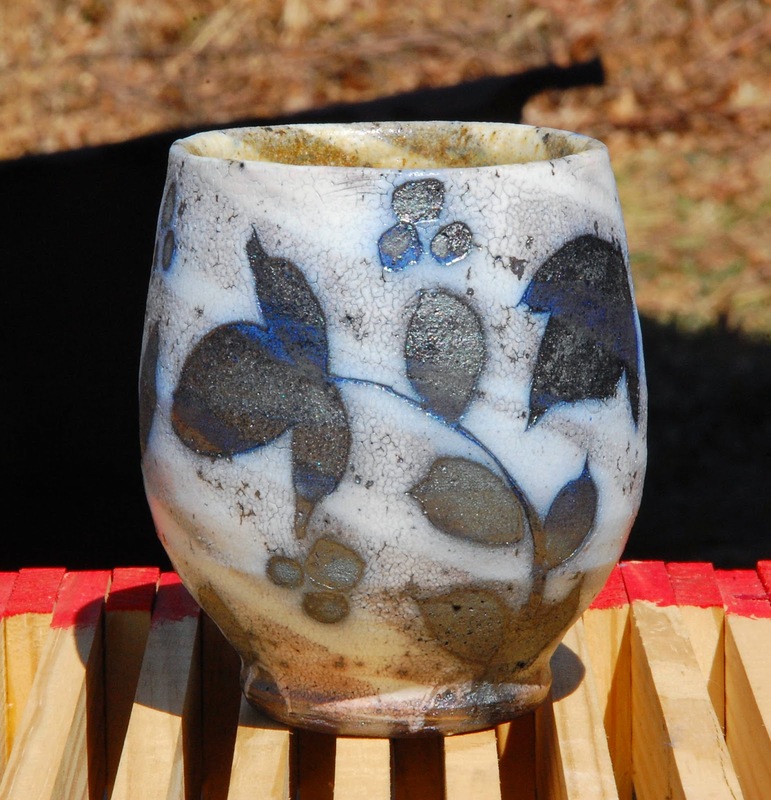 Out of the 30 swirl cups that I fired last month in the wood kiln, these are the 5 i have chosen for the annual AKAR Design Yunomi Invitational   [20??]. I wanted to choose a group that showed a variety of color, swirl, and brushwork. 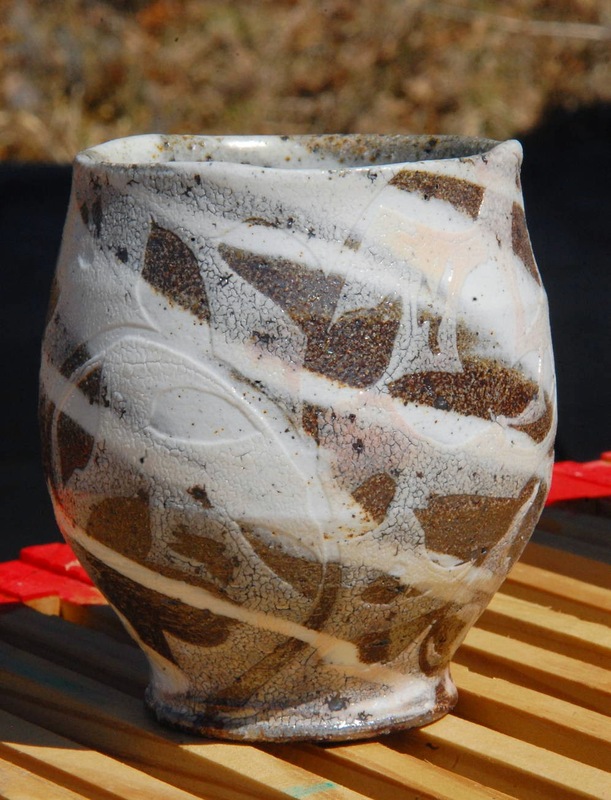 The process is a curious one, that begins with an invitation to do a show along with some of the best potters in the country and challenges me to make cups that push my abilities and techniques into new areas. Curious because in the end you might say these cups look like the kind of cups that you might expect from me. And you would be partially right, I guess. But, contrary to my last post, this palette and style is but a subtle variation and refinement, not the kind of obvious change I talked about the other day. 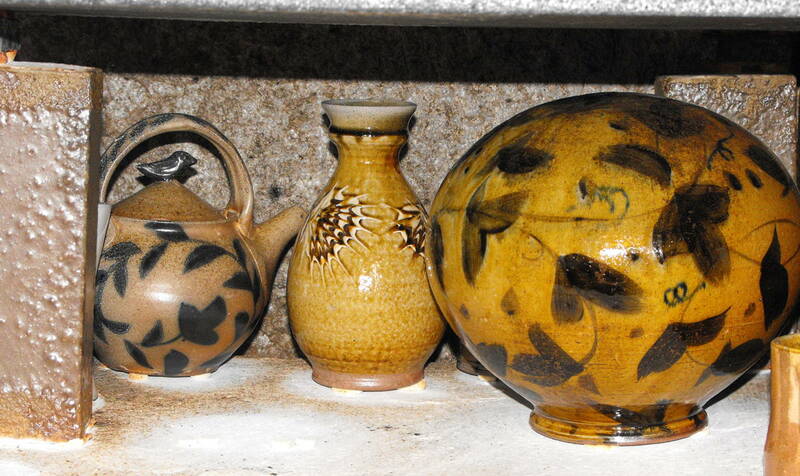 Each firing there are a handful of pots that are unusual and maybe not what I expect. 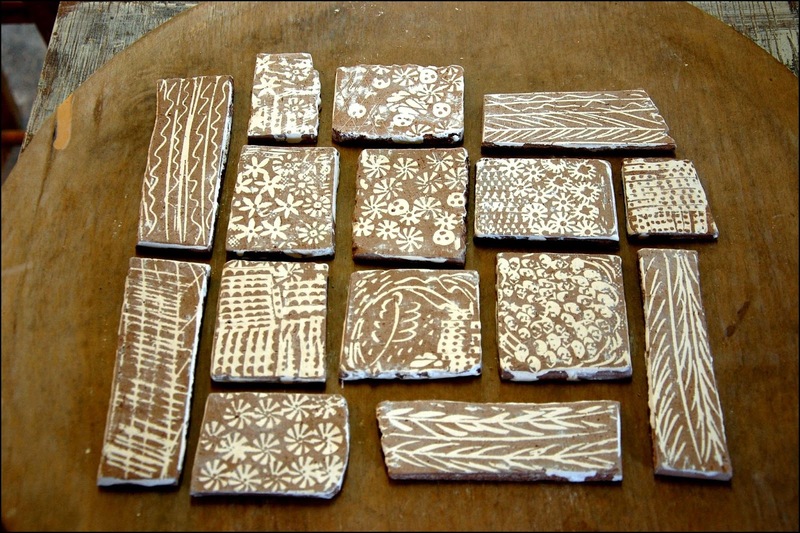 Then I try to reproduce their goodness, whatever it may be, often missing the mark or guessing wrong on the combination of variables that affect a pot in the wood kiln. 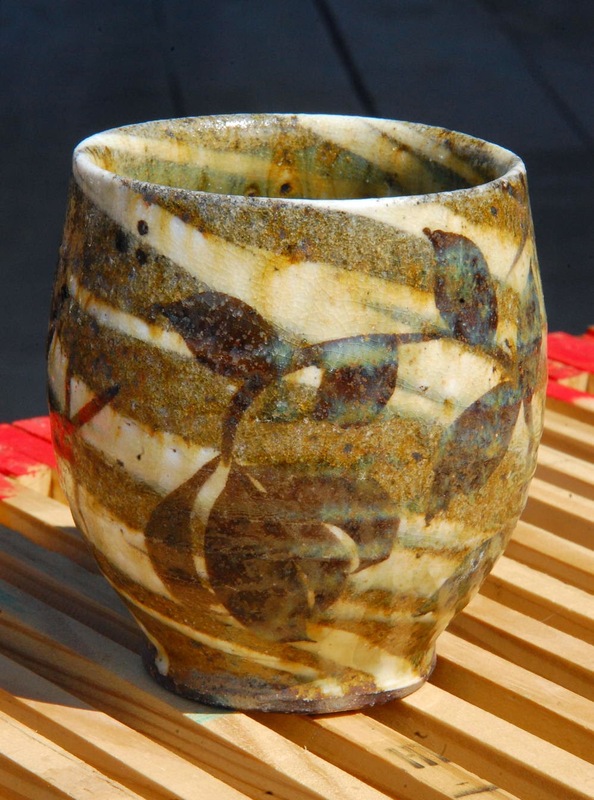 So, to get a group of pots for a show like the Yunomi show, I might need 30 to get 5 or 6 exceptional ones. 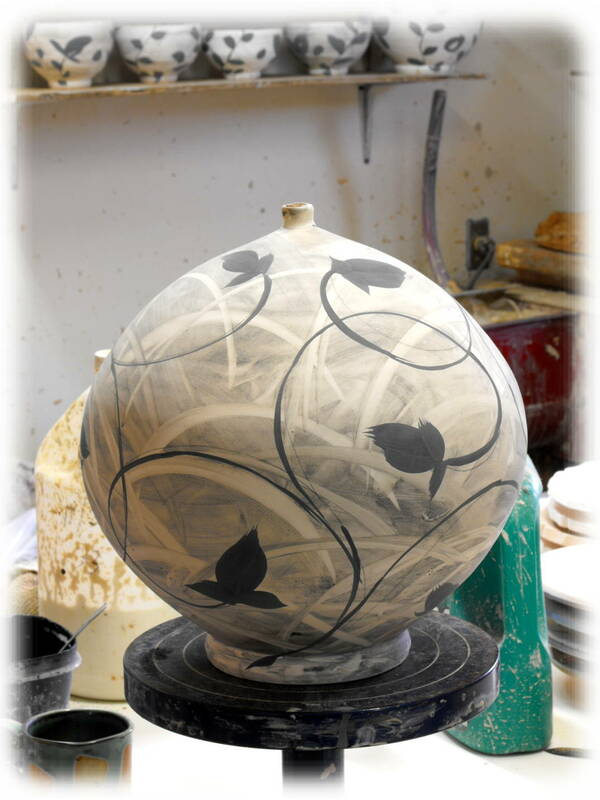 It's a strategy or process of "make bunch and some might fly" that many a studio potter are grateful for and since it's fun to make a lot of pots, its a great way to work. But the other thought I have, or the other question you might pose, is who am I to judge? Everybody has different tastes, different needs. Some like their pasta soft and some like theirs al dente. But in the end, I guess someone has to throw it against the ceiling to see if it sticks. [ba dum tssshhh] and I guess that would be me. But in the end, or at the point of sale, you, O fair and trusted customer, are the final judge! 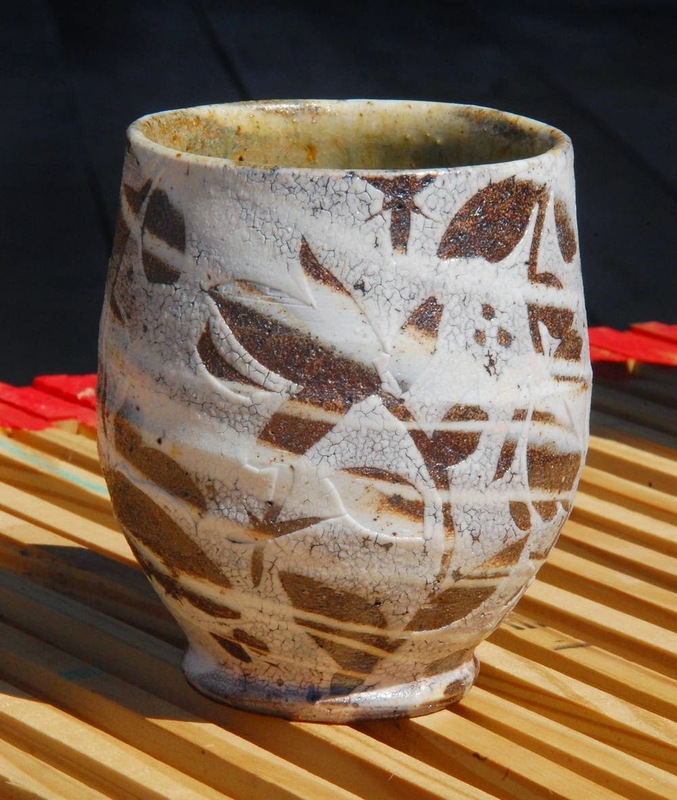 The AKAR Yunomi show opens on the morning of May 15th and a LOT of the pots sell in the first hour! My advice would be to be take the morning or the day off, bookmark the website and get a front row seat! You should also follow AKAR Design on the Facebook for some fun preview action! I had an interesting conversation with a student who is taking Cynthia Bringle's concentration at Penland last night. We made introductions and she said she was more of a hobbyist than an artist. I chuckled to myself and said that "I think I knew what she was saying, but aren't we all hobbyists at times?" I think she was using the word hobbyist as a kind of code, but I guess I took it in maybe a different way than intended. I thought, "Great! We should all be hobbyists, we should all just do this pottery/ceramics thing for the pure joy and curiosity!" I thought about the great qualities of a child's drawing and the unencumbered act of joy and un-selfconsciousness. I thought about the best flow in the studio happens when, as my friend John Simmons would say, I'm "goin' n blowin'" and I'm lost in the flow of making stuff. We should all be so lucky to be able to sustain this way of working as much as possible. Maybe labels are more about expectations and ambition? Once we are considered as a professional in our field does it guarantee the work that we do to be successful, of high quality, a kind of tenure? Maybe. Who's to know. Which brings me to the point I'm grasping for, that the cycle of life, of creativity, or whatever, goes through waves, highs and lows, successes and failures. Periods of joy and periods of boredom. Just because I call myself an artist or I call myself a hobbyist, doesn't mean there is any guarantee of brilliance or of mediocrity. We're all capable of both. OK, I guess what I'm trying to get at is that to get to that place of unselfconscious creativity, as an adult, takes a LOT of work. A lot of us have to work to overcome our burdens of self doubt and expectation. It may take us hours to quiet the voices in our head, maybe years. So here I am, today. Working on some test tiles of some completely new work. Well, almost. 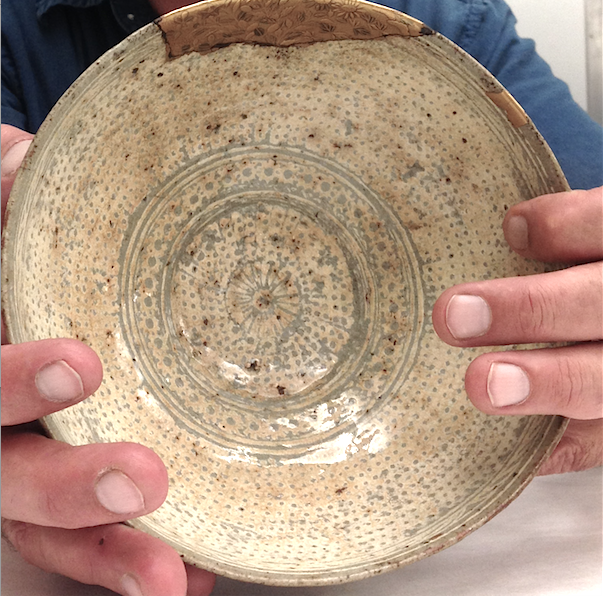 During the last firing session I got completely obsessed with a technique that I had seen in a bowl at the Freer Sackler last Fall. In exploring this technique and trying to "figure it out" I realized that "I" was getting completely lost in the process. Those voices in my head were being silenced by my complete joy and curiosity. The voices in this case were the rational ones, the ones telling me it would be a safer bet to stick with the work that was familiar to me and my clients. The voices that said "don't take too many chances, there are orders to fill"
Lucky for me, I got the opportunity to hold that beautiful Korean bowl last fall. Maybe I just fell under its spell? I do believe that objects can have this sort of magical power to change us as makers or as humans. But it is the time we put in, laying it on line, taking risks, risking failure, that are of the most long term value. So, for now I am a hobbyist, dabbling with this new found joy. Just as it should be. @ceramicscapes I was just doing my morning #750words and thinking that it might be a nice challenge to write that on my blog instead. I have been writing each morning for a week or so, now over at 750words.com and it has been really great. And in a recent convo with Cynthia Guajardo (@ceramicscapes on twitter) we were getting nostalgic about the olden days of pottery blogging. There was a time, before Facebook ate Blogger, where some pretty awesome stuff was being recorded in pottery studios all over. And still is to an extent. But mostly I see updates linked on FB more often than at the actual blogs. SO maybe Cynthia and others will return to the long form again. Or not. What are your thoughts?? But before you answer that question, let me offer this retro-blog post from Don Pilcher in 2010. Here's is Ayumi's video transcription. Best artist statement I've seen, heard, AND read, lately! Like a lot of people, I split my time now between the digital world and the physical one. My head’s filled with amazing stuff I see online, and yet I also need the messiness of the clay and the materiality of it to feed me on some fundamental level. I remember going outside on a freezing cold winter night when I was at the Archie Bray almost twenty years ago. I looked up at the stars and remember thinking that it was the cold that made me feel alive and part of this world, it wasn’t just seeing the vastness of the sky. It was the sensation of touch, the cold air on my skin. And I think the importance of touch gets lost sometimes in the digital world, because it’s all about the visuals now. Being cold or being uncomfortable makes you aware of your physical self. I don’t think we necessarily need to be uncomfortable to be aware. Awareness can come in different ways and clay is one shortcut to this kind of awareness. It makes you remember being human and being vulnerable. And that’s a lot of what my work is about. 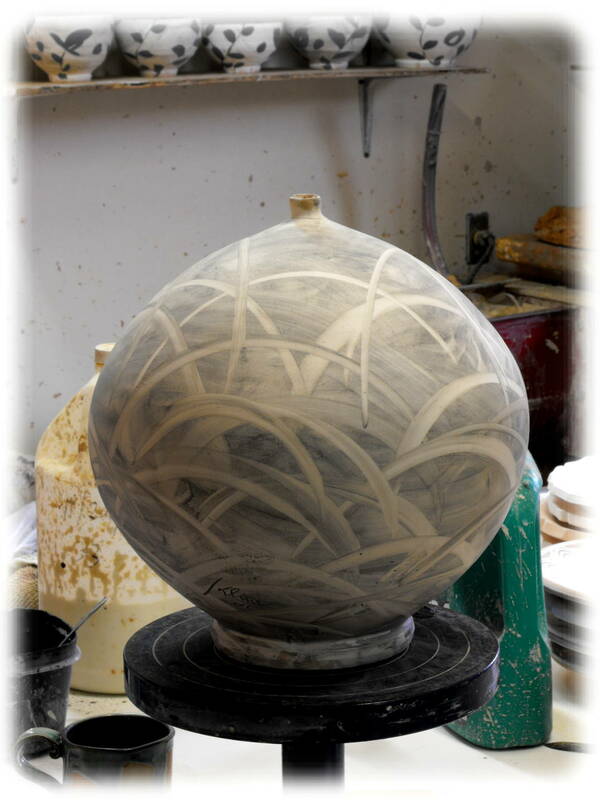 There’s a meditative quality to all this repetition we do as potters. It requires being completely present in order to make work. You’d think that this kind of repeat would make you spacey and not pay attention, but it’s the opposite, where things become focused and you notice all the tiny details like a scrap of clay hanging on, or crack starting to develop. This is the kind of work that hones my ability to see each pot as an individual and it’s a different level of quality control than what happens on an assembly line, because certain pots take on a personality. It’s like oh- “that’s the one with the snaggletooth or oh that’s the one with the pimple on it’s handle”. Play is a huge part of my work. 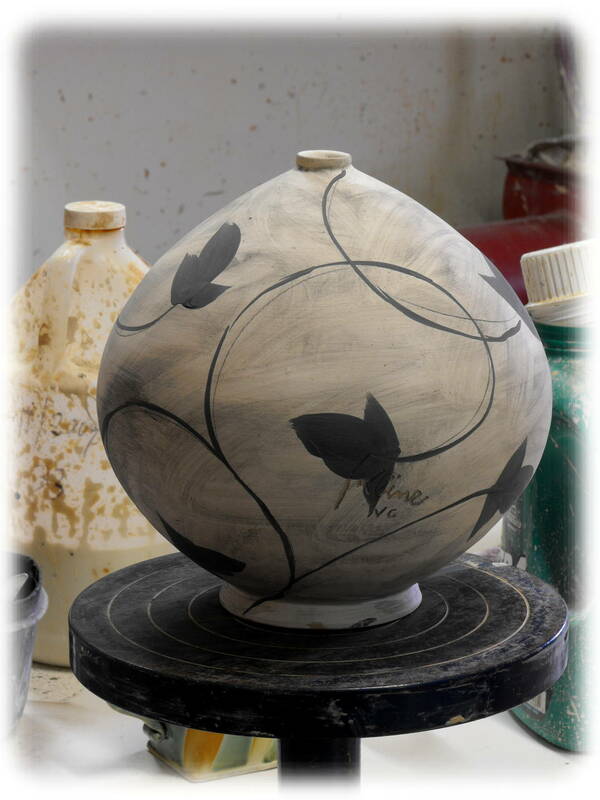 In making pots, in drawing, in taking pictures and in thinking about how I get work out into the world. There’s this incredible sensuality to soft clay that I hope lives on it the finished piece, so that other people can enjoy it and be aware in their own way of play and being present. Soft clay is so much like holding someone’s hand or giving someone a squeeze to say hello. 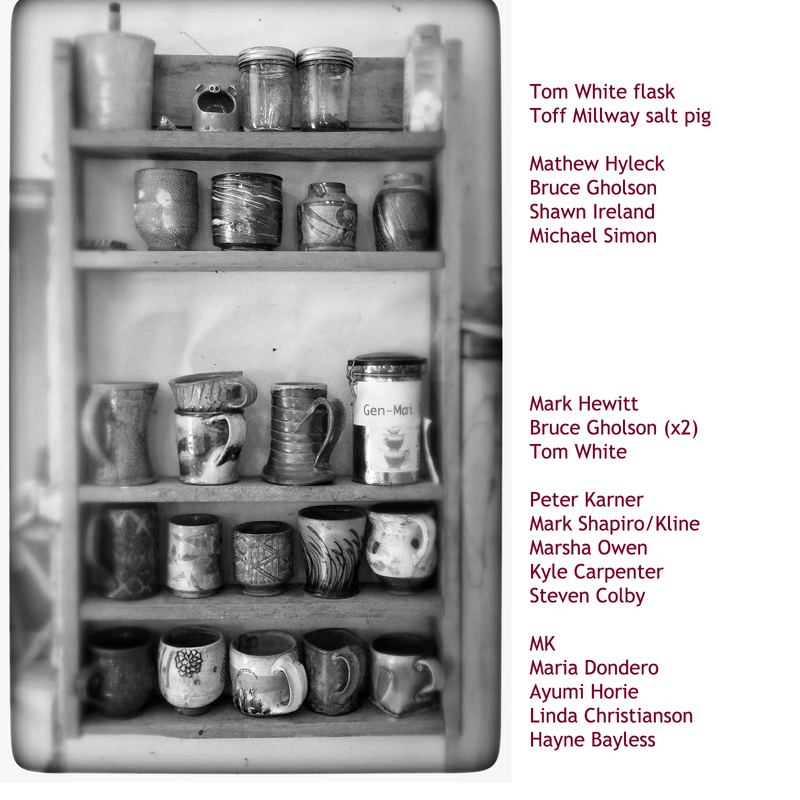 The thing that photography and ceramics have in common is their ability to preserve the ephemeral. Clay can record a spontaneous moment, just like a picture can. I love the cycle of ceramics. Clay is basically decomposed rock, so in the studio, we record this spontaneous gesture into it, into clay, we fire it and then this piece comes out hard as a rock again and lasts forever. That lovely moment of play is frozen in time. Most of my work is fairly graphic, so it reads well online. But my white decal pots are different, actually they’re pretty much the opposite. They’re invisible unless you’re up close. And then even when you’re up close, they’re still impossible to read unless you handle the pot. Turning the pot lets the light catch the opalescent drawing. Potters can’t exactly compete with our culture’s addiction now to cell phones these days. And I don’t think we should, but I think it’s part of the dialogue when we’re talking about making hand-held objects. So what makes these pots unusual is that touch and holding them is integral to understanding what they are. There aren’t any shortcuts to that. And this brings us back to this notion of being present. I think of them as slow pots, because slowing down allows us to notice things. When I take pictures, I say, here, look at these beautiful things in life. And when I make pots, I pay attention to all the tiny beautiful details that make a pot what it is. The way my tool furrows through the clay or mashes an edge or how a handle can be crooked to hold a finger. All these things matter because then when I also put a white drawing on a white surface that’s very subtle, I’m asking the user to work harder, to meet me half way, and to be present in that moment. One of the most interesting artists that I follow is Tom Sachs. I enjoyed this conversation and how these guys geek out on making art and objects, so, naturally, i thought i would share it with you. Tom Sachs is a New York-based sculptor, artist, and maker of wonderful things. His works include meticulously detailed foam core architecture and Space Program: 1:1 scale recreations NASA vehicles and equipment. Join Adam Savage for a conversation with Tom Sachs on the culture of making, contemporary art, Tom's studio environment, and many other shared obsessions. I'm going to lead a seminar on social media tomorrow (3/11/15) for the NC Clay Club in Bakersville, NC. In the short time we have, I'll be mostly talking about Facebook but I'll also talk about other social media resources that we artists can use to share our story. Click on this tweeeet below to find out more. Follow NC Clay Club on Twitter. Follow me on Twitter. Just do it. See you tomorrow night. Click here to send me a tweet! 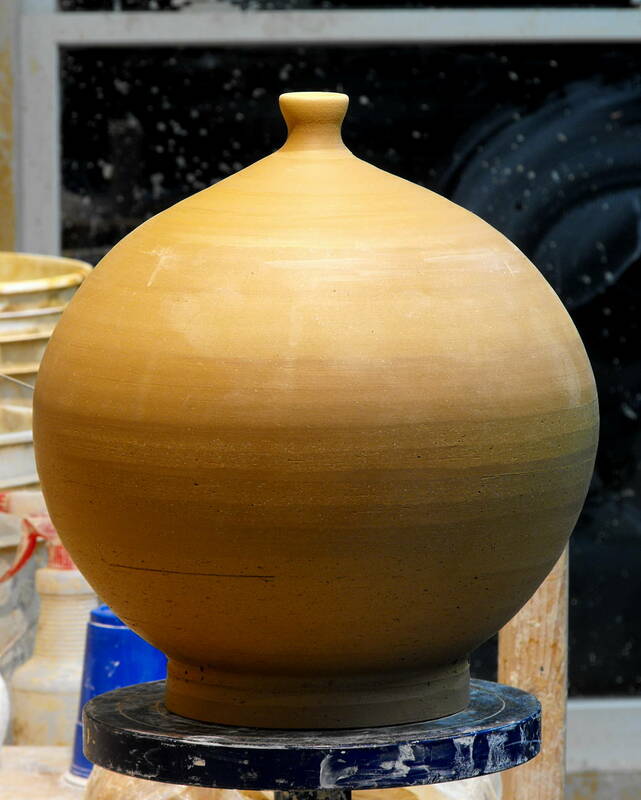 I took this picture of one of my current rotation pots for Scott Cooper, stalwart blog supporter! I thought I should also say a warm "Thank You" to Scott and reader Stephen Dean, who were kind enough to comment on Friday's post. Scott requested a detailed pic of this cup and Stephen asked for an expanded explanation of why those pots are in my current rotation shelf. So here is a #mugshotmonday post for you guys! 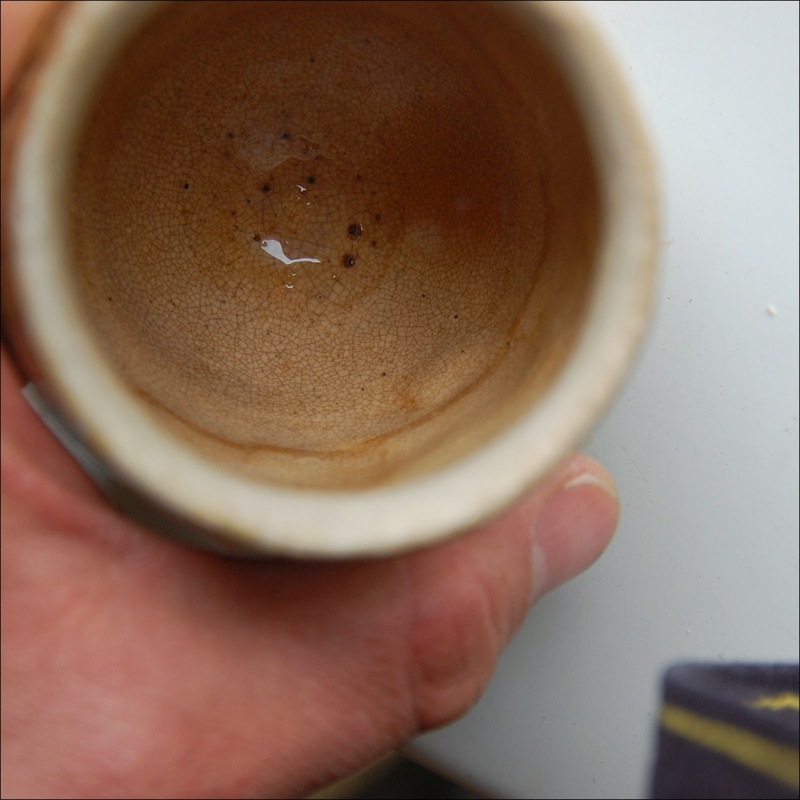 First, a prerequisite, please read this brief Coffee Break post. The pots on the shelf are a mix of function/utility, inspiration, and conservation. Some of the pots are here in my studio because they are precious to me and I don't want them to be in our household, because they might get broken, yet I want to keeps these pots from drying out, so they are here where I can use them and protect them. has a beautiful maroon iron red that wasn't fluxed in the same way as the saltier side. 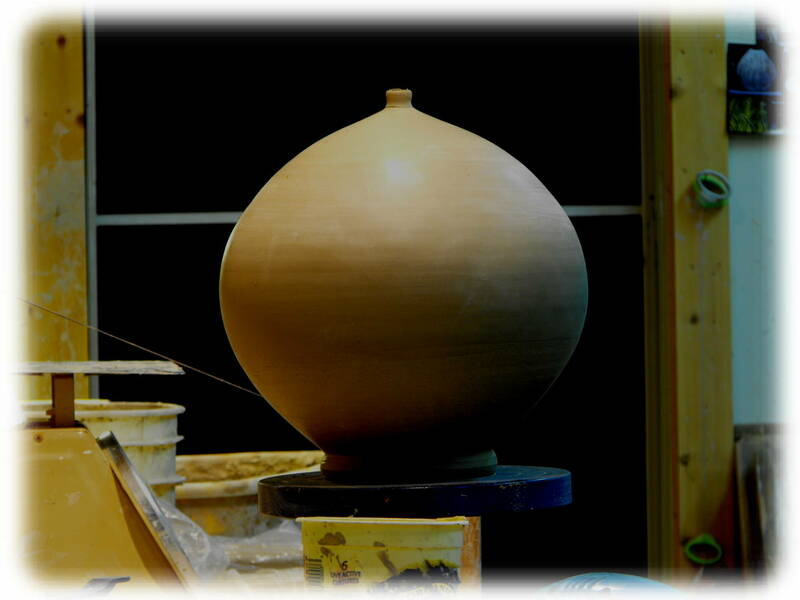 In lay-terms, the pots's hues vary depending on its exposure to the salt vapors in the kiln during the firing. The more salt the surface was exposed to/glazed with, the more yellow. 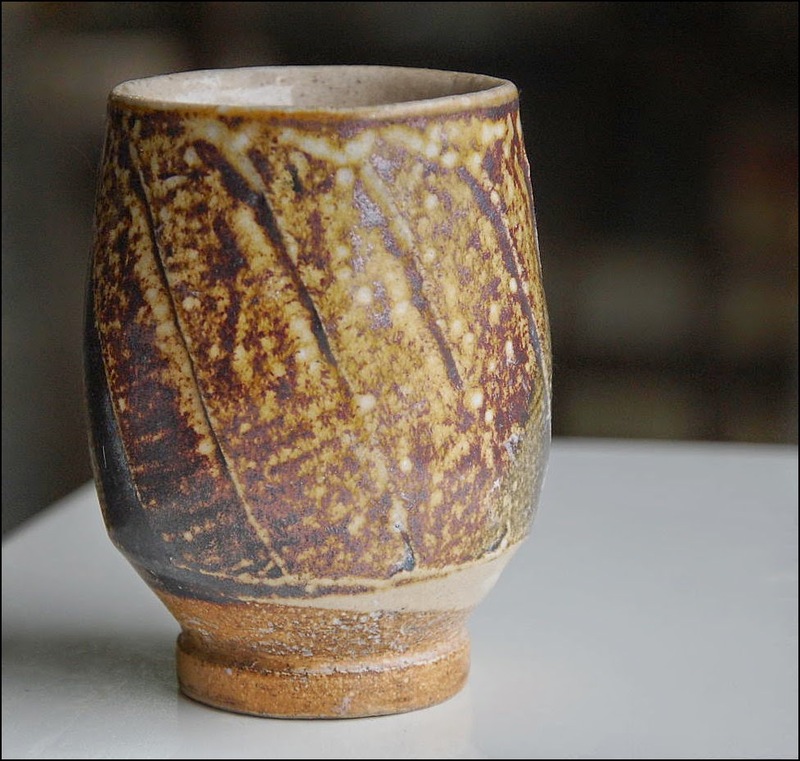 The inside of the pot has a pale shino glaze with a teeny tiny crackle that has been stained by countless cups of tea and coffee. Another intriguing element of this pot is the size. It is smaller than I might make a yunomi. 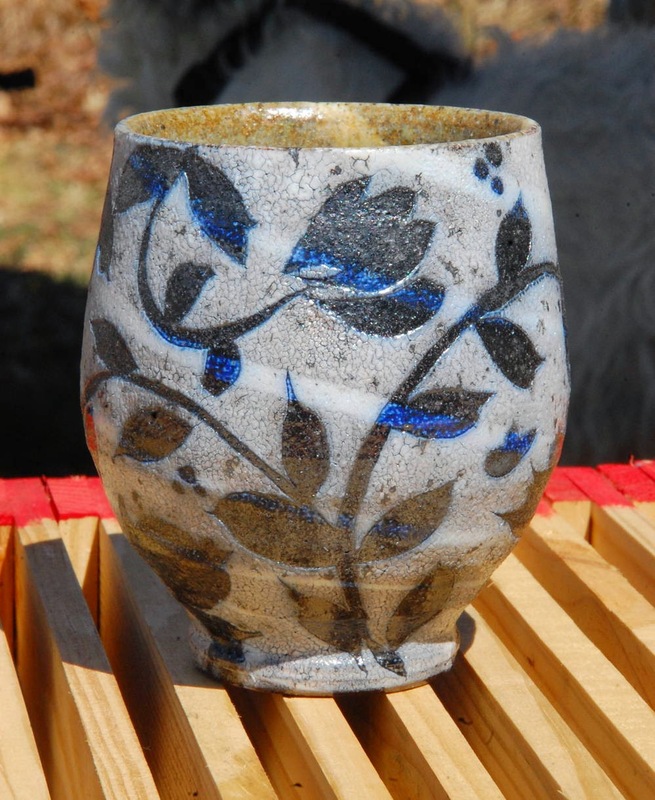 I like more "real estate" to carry a particular surface design so I make a slightly larger cup. But in reality this cup holds an ample amount of beverage, about 6 oz. I think the proportions are right on! It feels great in my hand and is very pleasant to drink from, most likely from its "English" drinking rim. I guess, mostly though, this pot represents the love I have for the man and his pots. 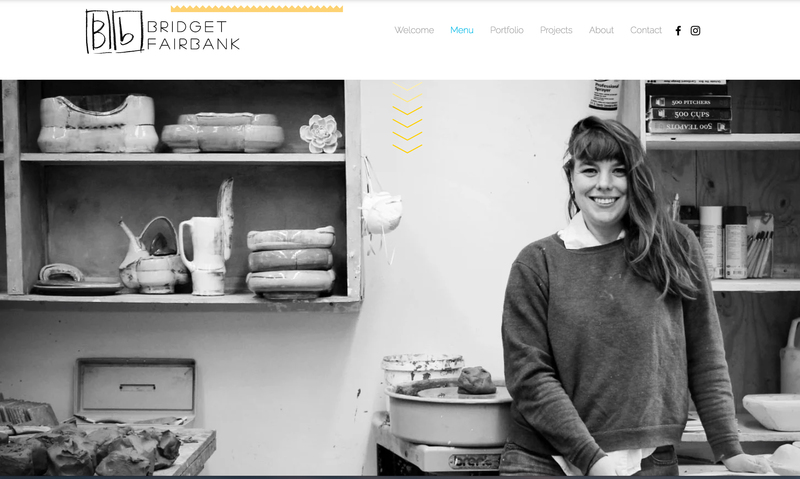 Pottery has a way of connecting people, make to maker, maker to user. I'm sure there will be other posts about this pot in the future as it continues to reveal itself through time and use. This pot was shared on Instagram today. Please follow my photo "blogging" there. Here are the current rotation of mugs and cups in the shop, revealed! For the color version click here. Thanks to Stephen Dean for guessing almost ALL of the pots. He will be rewarded with the adulation of his peers. Several of these pots have been featured in my Coffee Break Series. Cheers everyone! Have a great week! Here is a video I have watched many times and thought if you hadn't seen it yourself, here is the place and time! Or maybe watch it again. It has superb production and the artists are simply amazing. It is the video that I mentioned to my Union University students at the workshop I taught recently. I hope you enjoy it! It's Friday here in NC, but it must be Thursday somewhere, right? Here is a series of spherical pots(?) from 2010. 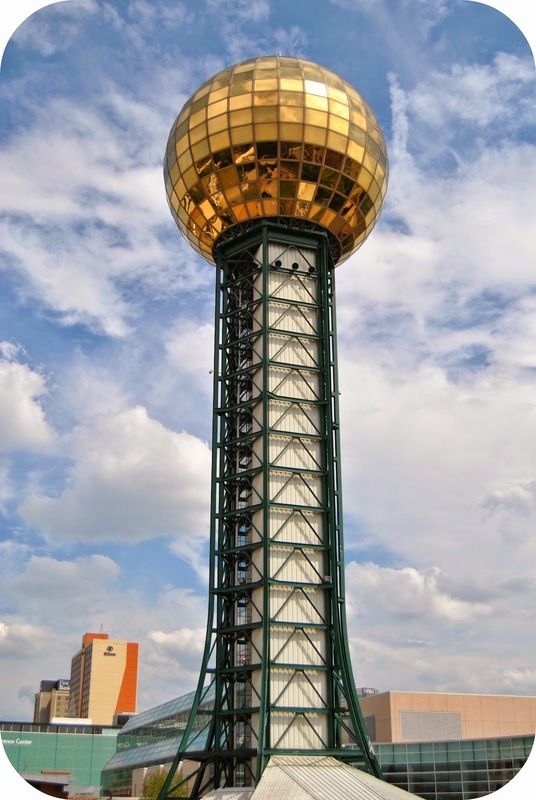 A finished spheroid. This one is currently in the Union University show. Here's the current cup shelf here at the pottery shoppery. Medicine on top shelf. Can you name the potters? 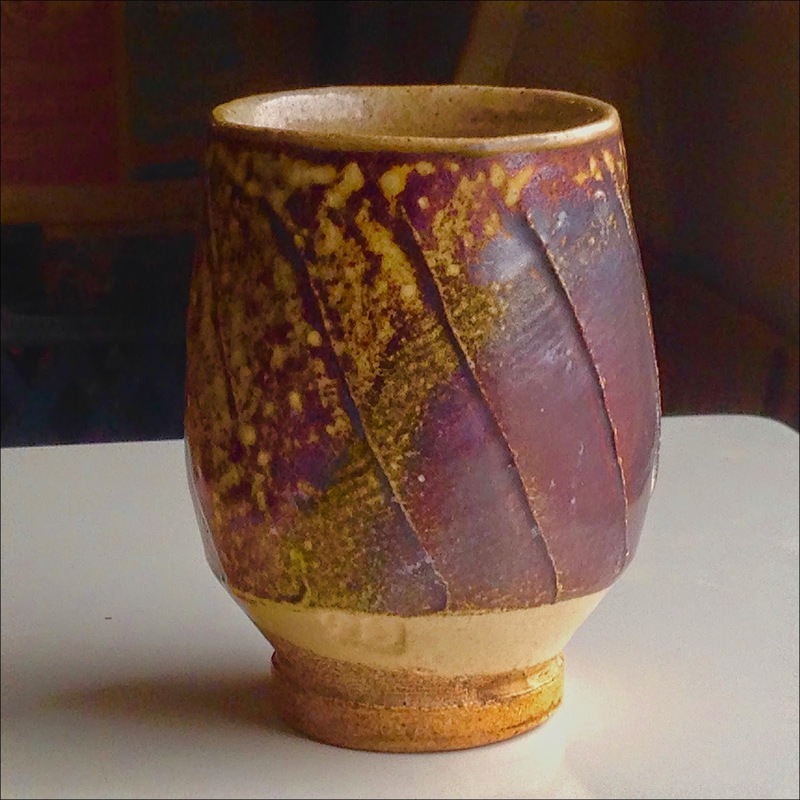 Ayumi Horie has begun a Instagram Page, Pots in Action, based on her Pots-In-Action concept of a few years ago. If you are on IG check it out! 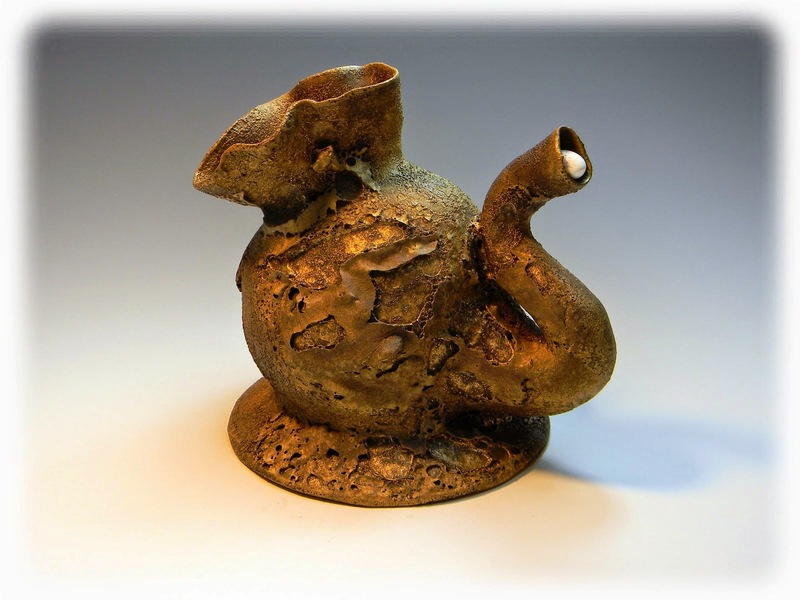 Post by Ayumi Horie Pottery. Post by Michael Kline Pottery.